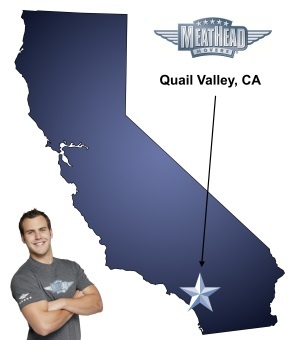 Whatever your moving needs may be, Meathead Movers will help you feel at home in Quail Valley. Our professionally trained student-athlete movers and our moving concierge will be with you for the entirety of your move to Quail Valley. In 2008, the three little towns of Quail Valley, Sun City, and Menifee incorporated to become the city of Menifee, California. Nearly half of the households in Quail Valley have kids under the age of eighteen, so it is no wonder that this Riverside County city is a great place to raise a family. If you plan on moving to Quail Valley, let’s chat about how to best manage your move. We are Meathead Movers and we are dedicated to providing superior moving services. Our moving crews are comprised of student athletes who work hard to put themselves through school. That’s how the company was founded back in 1997. The then-teenage Steed brothers were student-athletes who needed a way to earn money to pay for their education. They were (and still are) energetic athletes who saw a need for a speedy and efficient local moving company. Today, Meathead Movers is the #1 moving company in Riverside County. We can be your full-service movers. Whether it be a local, long-distance, or commercial move, we are here to help! As soon as you know you’re going to relocate, give us a call. If you need help packing up your household belongings, we can provide Princess Packers who will pack your things as carefully as we would if they were our own. Will you need to put some of your stuff into storage? Meathead Movers happens to have a very nice facility that’s patrolled by student athletes. When you hire Meathead Movers to be your Quail Valley movers, we’ll send a polite, clean cut, drug-free moving crew. We can manage a move of any size. The sooner you contact us, the sooner we can start planning your relocation. With our 100% satisfaction guarantee, the only thing you have to lose is the stress that comes from moving! So contact us today for a free no-obligation moving quote and to learn how we can help you on your next move! Moving to Quail Valley? Here are some helpful resources. View more Quail Valley resources.